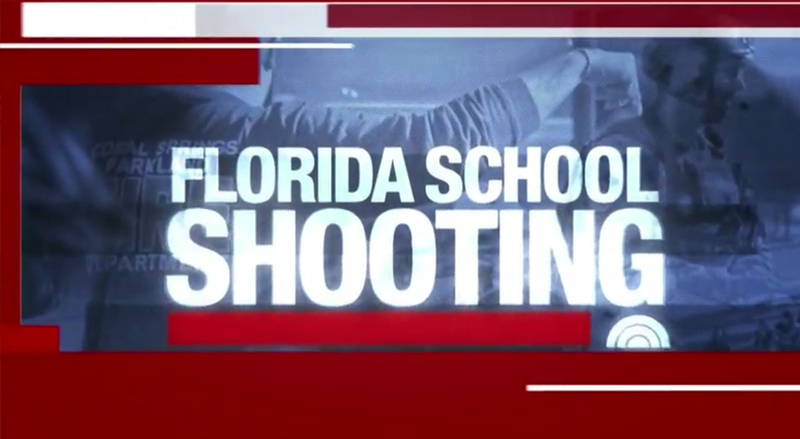 The school shooting in Parkland, Florida, lead all of the “big three” morning shows, Thursday, Feb. 15, 2018. The broadcast did not use the faster paced music it had used for its other mass shooting coverage. In addition to colorizing the open red, it was also modified slightly to feature a design that borrows elements from what has now become NBC’s go-to look for shootings, such as the look it used during the Las Vegas shooting. Although the notched corners did not make appearance, the typography and color scheme remained similar.